Application: Business /College /Casual /Sport /Outdoor / Hiking / cycling. Comfortably carry your digital notebook anywhere you go with the 14"-17" Laptop Backpack. There are multiple compartments inside this notebook carrying backpack that allow for proper organization of your stuff. The exclusive 3/4 zip compartment in this laptop backpack can hold up to a 14"-17" widescreen portable PC. You can carry important office documents, magazines, files, newspapers, books and lots more in the expansive interior storage compartment. 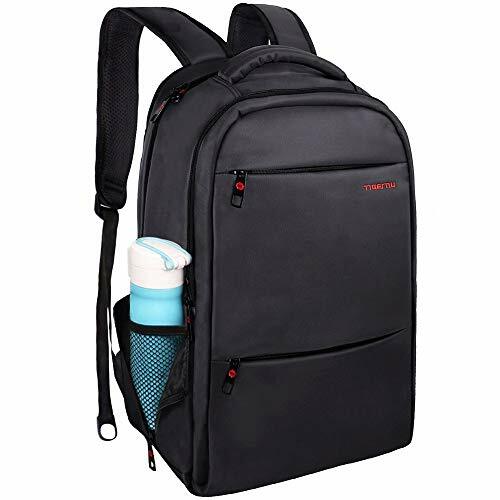 This laptop backpack features a dedicated organization panel on the front for your portable electronic gadgets, pens, tickets and other such items. An external pocket on one of the narrow side lets your carry water bottle, snacks, and other traveling essentials. The 14"-17" Laptop Backpack comes with innovative, adjustable, padded shoulder straps for easy carrying. Featuring an innovative strap management system, you need not worry anymore about messy, hanging straps. If there is any difference between color and instruc tion on the picture, please refer to actual condition. If you have any questions about this product by LAPACKER, contact us by completing and submitting the form below. If you are looking for a specif part number, please include it with your message.